Fans of the series Dr. House know that in most episodes, lupus is one of the diseases considered as a tentative diagnosis by Dr. House’s team. In fact, it’s quite nice when you see how they go to the laboratory and try to check whether this possibility is true or not by looking at different biomarkers. Even TV series show the need for accurate biomarkers allowing to make an early diagnosis. If we had defined biomarkers for every disease state, maybe the series’ episodes would only last 30 minutes, but it would indeed have an impact on the millions of patients who wait for months, sometimes years, until they know what they have and can be treated for it. It is the scope of research, both in academics and pharma, to find novel biomarkers for diagnosis / prognosis, and novel drugs to treat these patients. Tissue dependent regulation of marker expression may give indications of tissue of activation. Autoimmune diseases are particularly hard to differentiate, and an early diagnosis can improve the quality of life of patients by allowing them to access the right treatment, as early as possible. A recent talk by Thomas Lavoie from PBL Assay Science at the ICIS Satellite Symposium “The Yin-Yang of the Interferon System” in Lorne, Australia, was aimed at unraveling the mechanims of diseases such as lupus, scleroderma, etc., in order to find new ways to discriminate between diseases, as well as chronic / acute phases. 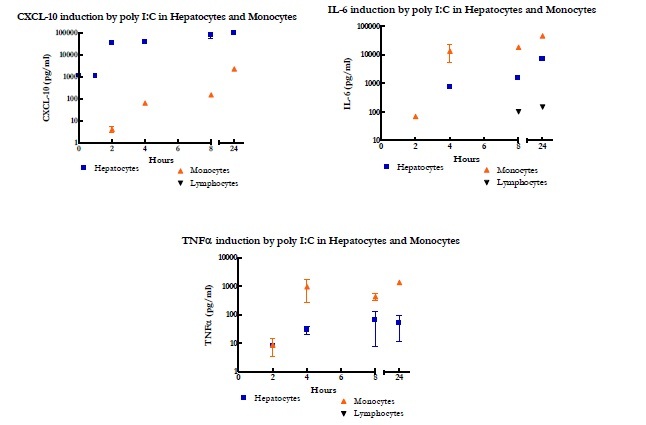 PBL‘s goal is to create a panel of IFN and marker assays to differentiate diseases. For example, he described how ISG15 is a good candidate marker for acute / intermediate phases after IFN treatment in autoimmune diseases. CXCL-10 and IL-8 are good candidates too. sIFNAR2 and sIFNAR1, however, are more present in chronic phases; where sIFNAR2 seems to be involved in lupus and not rheumatoid arthritis (RA), Sjogren’s and scleroderma, while sIFNAR1 has a role in RA. As a conclusion, he indicated that we currently have a good overview of acute and intermediate markers, where for chronic stages of autoimmune diseases, this needs to be further investigated. The most useful panel would be a mixture of both, providing real time and long term information. If you’d like to receive a copy of Dr. Lavoie’s presentation, just leave your comments and request below!